How our past lives impact our personal evolution and the global shift in consciousness. Many of us yearn to live out our highest potential but can’t seem to make it happen. External circumstances such as money, the right job, or family demands seem to get in the way. But what if our greatest challenge to fulfillment wasn’t an external obstacle but rather an internal one? And what if it didn’t have anything to do with this lifetime, but a previous incarnation? This is the radical message Ainslie MacLeod shares in The Transformation. Ainslie’s spirit guides suggest that we are standing on the brink of the greatest leap in human consciousness in 55,000 years. For each of us to take an active part in this shift, we must learn how to release the fears our souls have accumulated over many lifetimes, while retaining the essential wisdom that each incarnation has given us. Rich with practical techniques and compelling stories, The Transformation is a fresh examination of one of the most critical yet often overlooked elements of spiritual awakening. Ainslie MacLeod has used his talents as a psychic to explore the soul and its effects on human beliefs and behavior for more than a decade. The author of The Instruction, Ainslie was a featured teacher on “Oprah’s Soul Series.” Currently, he teaches at the Omega Institute and Kripalu. Originally from Aberdeen, Scotland, he now offers guidance to clients worldwide from his home in the Pacific Northwest. 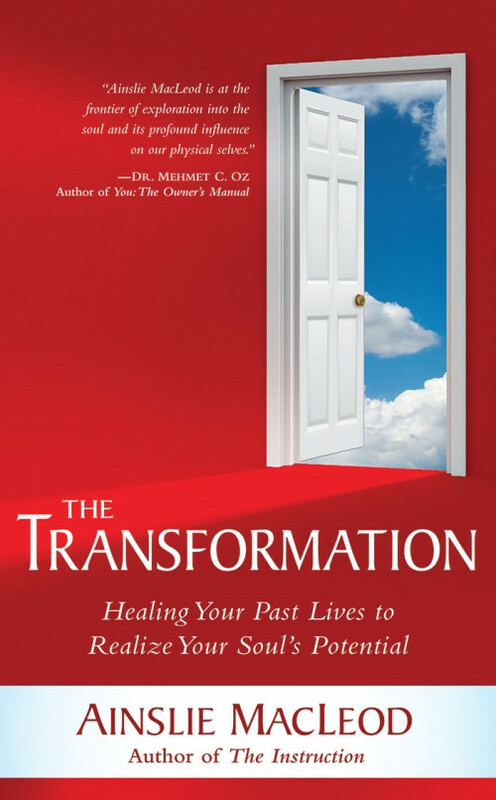 Review for The Transformation Review by Bill Bishop,Sr. As you read through Ainslie's books you will discover his journey, and why he is so gracious in sharing what he is discovering ! a bridge I am compelled to let him help me cross. Where have I been hiding? Somehow, I JUST discovered Ainslie MacLeod's work and I am ecstatic I have done so. I actually read The Transformation first and then The Instruction, but there is no "order." The Transformation goes into great detail about how each of us can delve within and begin to heal our past life traumas and issues. You will learn, in easy to understand language, how to discover what your greatest past-life fears are...and yes, you DO have them! Then Ainslie will take you through the steps necessary to ensure you are able to move through those fears and heal them. This is all done in an easy-to-read, yet still very comprehensive manner. His writing style is perfect for this type of work. Warm, comforting, yet telling it like it is! If you have an interest in past lives, working through your "stuff" or just living a better life and understanding yourself a bit better...then grab this book now. If only there were more stars I would give them.